Welcome to BOBBYCILETTI.COM Learn a little more about me by reading my full bio & checking out my photo & video galleries & of course my blog. Whether you are stopping by to check out my latest celebrity & pop culture commentary or you are looking for a travel recommendation, I have you covered. 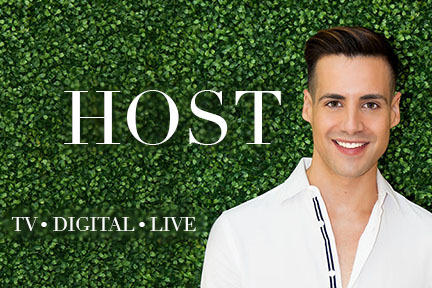 My combined experience and love of entertainment, travel, celebrations makes for a luminous lifestyle and I am so excited to share all the details with you here. Be sure to check out my videos, blogs & let me know what you think, leave a comments. I would love hear from you! What I did not realize a year ago, was how important it would be to support causes that support women many who are immigrants and minorities, ironically by giving them pantsuits among other valuable tools & services. Meryl Streep won the Golden Globes with an incredible speech we all needed to hear. Watch the full video here. Wishing Everyone a safe and happy 4th. Spend time doing something you enjoy with people you love. After all, that is the beauty of freedom & independence! I love making my own dips & hummus. It is not only a healthy alternative to store bought versions which are too often full of preservatives, fillers or allergens, but also rewarding & easy to do.